Incredibly easy to use with only 4 pre-programmed outgoing numbers and features GPS localization to let people know where you are. The Doro Secure 580 mobile phone is incredibly easy to use with only 4 pre-programmed outgoing numbers. It can be set-up to meet the specific needs of the user and can also be remotely managed by a trusted friend or relative. 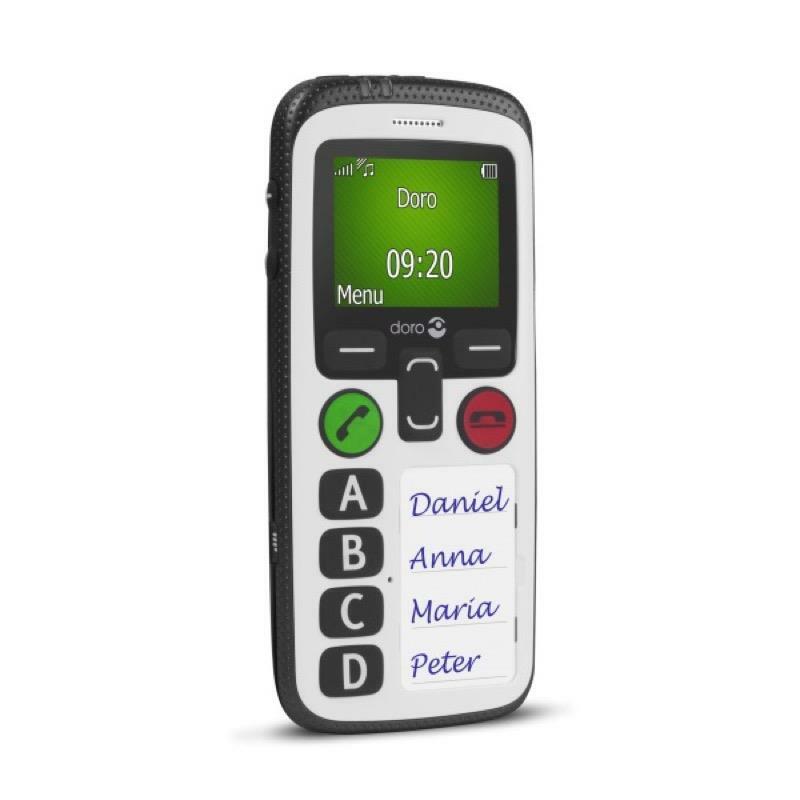 It features an assitance button and safety timer that can automatically dial up and send an SMS alarm to preset numbers along with GPS localization to let people know where you are at all times. It is suitable for people suffering from a range of disabilities including Dementia, Sight Loss, Hearing Loss and Dexterity issues.